INR Vs USD: Monday's fall took the depreciation in the rupee against the greenback to more than 13 per cent so far this year. During the session, the rupee registered a fresh all-time low of 72.67. On Friday, the rupee had settled at 71.73 against the dollar. Rupee is Asia's worst-performing currency this year. The rupee fell 72 paise against the US dollar to close at 72.45 on Monday. That marked an all-time closing low for the rupee against the greenback. The plunge in the rupee to record levels came amid a fall in emerging market currencies fuelled by rising concerns on a trade war between the US and China, the world's two largest economies. Continued concerns on the current account deficit front, driven by increasing crude oil prices, also battered the currency. During the session, the rupee registered a fresh all-time low of 72.67 against the greenback, before settling at 72.45 for the day. On Friday, the rupee had settled at 71.73 against the American currency. 1. The rupee declined 1 per cent on Monday, compared to its previous close of 71.73. Monday's fall took the depreciation in the rupee against the greenback to more than 13 per cent so far this year. That also cemented the rupee's position as Asia's worst-performing currency. 2. The dip to a fresh all-time closing low in the rupee came amid escalating concerns on the US-China trade war. 3. 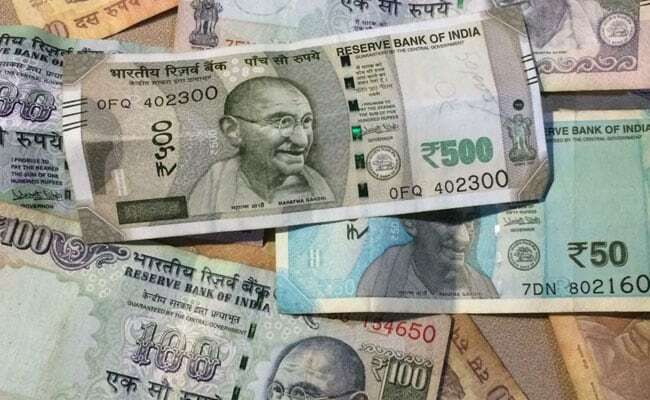 Moody's Investors Service said the ongoing free fall of the rupee against the US dollar is credit negative for Indian companies, especially for those that generate revenue in rupees but rely on dollar debt to fund their operations and have substantial dollar-based expenses. 4. Traders braced for a potential escalation in the tariff row between the world's two largest economies after US President Donald Trump raised the stakes in the dispute on Friday. 5. On Friday, Mr Trump warned he was ready to slap tariffs on virtually all Chinese imports into the United States, threatening duties on another $267 billion of goods on top of $200 billion in imports primed for levies in coming days. 6. Beijing has warned of retaliation if Washington launches any new measures, but it is running out of room to match them dollar-for-dollar, raising concerns it could resort to other measures such as weakening the yuan or taking action against US companies in China. 7. Crude oil prices rose to around $77.50 a barrel as investors anticipated lower supply once new US sanctions against Iran's crude exports kick in from November. Outside the United States, Iranian crude oil exports are declining ahead of a November deadline for the implementation of new US sanctions. 8. High crude oil prices coupled with weakness in the rupee are expected to widen the trade deficit as India meets more than 80 per cent of its oil requirement through imports, say analysts. 9. "The volatility in FX is likely to remain high despite light economic data from US, Europe and UK as trade war concerns could escalate further," said IFA Global, a forex advisory firm. Strong US jobs numbers on Friday had bolstered bets on a higher dollar, with expectations the Federal Reserve will keep raising US interest rates. 10. The stock markets registered sharp losses on Monday, with the Sensex plunging 467 points to close at 37,922 and the NSE Nifty shedding 151 points to 11,438. The Sensex and Nifty registered their biggest single-day in more than six months.